Glasgow Airport reported its largest ever annual increase in passenger numbers in 2015 after more than 8.7 million passengers travelled through its doors, representing an annual increase of 13% which equates to over one million additional passengers. The airport experienced unprecedented growth during each month of the year – a trend which has continued during the first three months of 2016. 2016 marks the airport’s 50th anniversary and it is expecting passenger numbers to exceed nine million for the first time. Much of this growth has been due to Glasgow Airport’s success in attracting new airlines and services. In 2015 more than 30 new routes were secured which have significantly strengthened the airport’s connections to major European cities and cemented its position as Scotland’s principal long-haul airport. As Scotland’s largest city, there are many reasons why airlines want to fly to Glasgow – a city described as the economic powerhouse of Scotland. With 2.3 million potential customers within a 60 minute drive, the airport provides airlines with a large scale opportunity to grow. The city makes the highest contribution to Scottish GVA of any Scottish city, with more than 30,000 registered businesses which have a combined annual turnover of £31 billion. Glasgow Airport has a significant role to play in welcoming international visitors for major sporting competitions, business conferences and international events. 2014 was punctuated by a series of major events including the Commonwealth Games and the Ryder Cup, both of which helped to ensure a fantastic sporting legacy for the city, while in 2015 Glasgow hosted the internationally-acclaimed Turner Prize art competition, the IPC Swimming Championships and the World Gymnastics Championships. 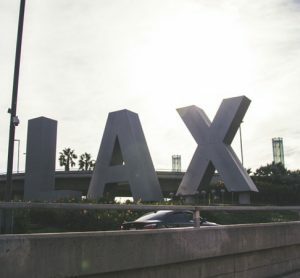 These events have marked a real step-change for the city and subsequently the airport; increasing the reputation of both on a global scale. In 2018 the European Championships will come to Glasgow – another event that is expected to attract hundreds of thousands of visitors. Glasgow Airport’s airline development team works closely with the city and national partners, engaging with airlines all over the world to secure new routes and services that will benefit both business and leisure passengers. 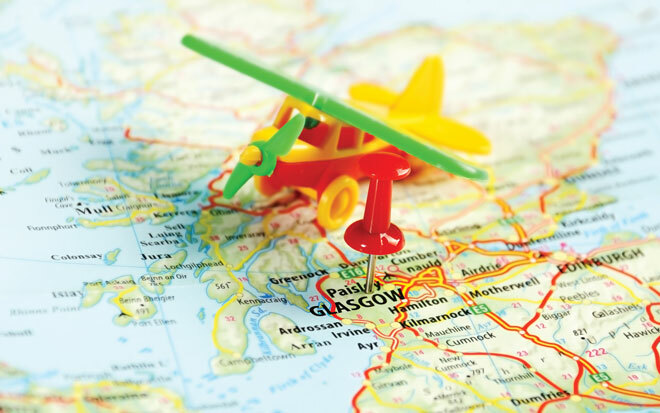 Together with organisations such as the Glasgow Chamber of Commerce, Glasgow City Marketing Bureau and VisitScotland, the airport works to develop compelling propositions to encourage airlines to choose Glasgow over competing markets. 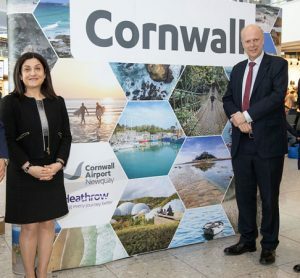 The airport already has a strong long-haul reputation and with the advent of new route options this is set to grow and improve. Canadian airline WestJet launched its first UK service from Glasgow in May 2015 with a daily direct flight to Halifax, Nova Scotia. Following the success of the service, it will recommence in 2016. Summer 2016 will also see a new hub carrier, Air Canada Rouge, welcomed at Glasgow that will offer three weekly services to Toronto. Air Transat will also commence Scotland’s first and only direct service to Montreal. Strong demand is anticipated for these services. Interestingly, Canada and Scotland have close cultural and historic ties with some 4.7 million Canadians having Scottish ancestry and 24% wanting to visit Scotland in search of their roots. Glasgow is confident that this link will help strengthen these bonds. Additionally, Glasgow Airport is excited to be the first Scottish airport to secure a direct service to South Korea, scheduled for summer 2016. Korean Air and tour operator, Hanjin Travel, confirmed in December 2015 that it would introduce a summer charter service from the capital of Seoul, offering three services during August 2016. The route will serve as a gateway to over 1,000 Korean tourists who will fly to and from Scotland. 2015 also saw the launch of direct services to Las Vegas. Over the past year Glasgow Airport has worked hard to develop its short-haul European route offering. In 2015 new services were launched to a number of major cities including Budapest, Bucharest, Milan, Bordeaux, Vilnius and Lublin. It is predominantly the low cost carriers such as Ryanair, Wizz Air and easyJet (the airport’s biggest carrier), that have strengthened its connectivity with these cities, and in March 2016 Ryanair also confirmed it will begin new services to Sofia and Brussels Charleroi for winter 2016. Route development is a priority for any airport. As well as offering more destination choices, new routes also stimulate wider economic growth and provide new job opportunities. To this end, in March 2016 Glasgow welcomed its first new hub carrier, Air France, who will provide a daily service to Paris Charles de Gaulle Airport. Air France is a major player in the world of aviation with an extensive route network through its hub at Paris Charles de Gaulle into important global markets such as South America, China, India and Africa. The airline’s introduction of a daily service from Glasgow Airport will play a crucial role in encouraging export-led growth, attracting further inward investment and supporting Scotland’s burgeoning tourism industry. The airport is already experiencing strong demand for this service – from both the business and leisure sectors. Glasgow is home to a range of French companies including multinational electrical system provider Thales; tubular solutions business, Vallourec; and beverage producer Pernod Ricard. These businesses are all particularly interested in the benefits of this new route. However, it is important to recognise that growing your route network will not in itself ensure success. Like all service-oriented businesses, much of the airport’s reputation depends on its staff. Since the launch of the Customer Charter in 2012, the airport has been on a journey to improve the customer experience and create a ‘one airport’ culture involving all partners in delivering consistently high levels of service. Over 2,500 staff members have received customer service training and, in 2014, Glasgow became the first UK airport to achieve the Airport Council International (ACI) Airport Service Quality (ASQ) Assured Certification. In 2015 the airport also recorded its best ever annual ASQ score of 4.10 and secured a series of top accolades including Scottish Airport of the Year, UK Airport of the Year and Best Airport in the UK (3-10 million passengers) from the Airport Operators Association. A current hot topic in the aviation industry is long-haul versus short-haul flight offerings and with many aircraft being able to now cater for longer routes, the emergence of low cost carriers offering longer-haul destinations. From Glasgow Airport’s perspective, to ensure business sustainability and, of course, customer choice, it is important to have a combination of both long- and short-haul routes. What is perhaps more significant for Glasgow Airport, however, is connecting with hub airports. The population of Scotland is of a size which means it can only ever sustain a certain number of direct flights. Consequently, Glasgow is actively seeking direct links with hub airports throughout Europe and beyond. 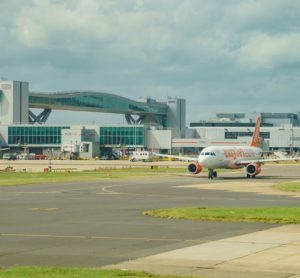 This is why – on the subject of airport expansion in the south east of England – Glasgow Airport supports the expansion of London Heathrow Airport, which offers the greatest number of onward connections and frequency of feeder services. London Heathrow is also Glasgow Airport’s most popular route, providing hub access to 75 destinations that cannot be reached from any other UK airport. As well as London Heathrow, Glasgow also has connections to a number of other hub airports to provide passengers with greater choice. Emirates has a double daily service to Dubai, for example, which provides passengers with easier access to destinations such as Australia and New Zealand. The same can be said of other hub connections, including Amsterdam Schiphol and Paris Charles de Gaulle. The industry is also experiencing a trend where low cost carriers are breaking into longer-haul destinations. WestJet, for example, which launched its first UK service from Glasgow Airport in May 2015, is just one carrier using a hybrid model on its Glasgow-Halifax service. When Air Canada Rouge begins its new service from Glasgow in summer 2016 it will also use a hybrid, high-density aircraft to take passengers to Toronto. Glasgow Airport completed its £3.3 million east pier extension project in summer 2015. It introduced a series of improvements to the main terminal building in response to the airport’s success in securing a growing number of new routes and services, allowing the airport to accommodate an additional 750,000 passengers each year. As well as creating new boarding areas for passengers, the extension also brings the total number of Code E stands, which enable the airport to accommodate larger aircraft for long-haul services, to six. Over the next 12 months the airport will invest more than £20 million on a series of major infrastructure projects designed to cater for the airport’s growth, whilst significantly enhancing the customer experience. Projects include a major redevelopment of the airport’s main departure lounge to incorporate new retail and catering facilities; increasing stand capacity to accommodate a greater number of larger aircraft; the creation of a new car rental village adjacent to terminal 2; and the resurfacing of the airport’s runway. Other projects include enhancing customer facilities in the boarding areas and gates with further investment planned for new security equipment and the replacement of international arrivals baggage belts. On the subject of air passenger duty (APD), Glasgow – along with Scotland’s other major airports – has always had a very clear position on the importance of abolishing APD. In 2014 Aberdeen, Glasgow and Edinburgh Airports together made the case for the devolution of APD to the Smith Commission, and welcomed the positive response to that in the final report which was published last year. The airport urges the Scottish Government to implement its promised 50% cut in APD as soon as possible. The longer this regressive tax is in place, the longer it will damage Scotland’s economy, its tourism potential and its ability to prosper as a nation. This is something that has also been recognised by its business and tourism partners. The reduction and eventual abolition of APD will play a major role in strengthening Scotland’s connectivity and will help to boost its economy. Airlines, especially low cost airlines, have made it clear that passengers are price-sensitive and that if APD is cut by 50% in 2018, they will respond by adding significant capacity. 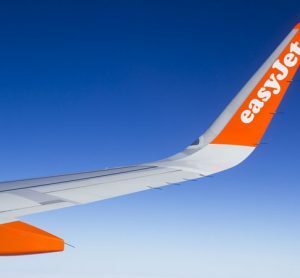 easyJet has indicated they will add 30% capacity for Scotland in the event of a cut in APD, and Ryanair has also indicated that it will increase its presence and route offering. 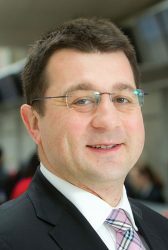 François Bourienne joined Glasgow Airport in 2010 as Commercial Director following four years with the Nuance Group, a leading Swiss-based travel retailer, where he was active in business development, working on various concession tenders and starting operations in both France and Bulgaria. Prior to this François was a consultant with Accenture and Bain & Company, advising mainly FMCG and retail companies on strategy and was also involved in due diligence for private equity funds. He holds an MSc in Management from EM Lyon and a MBA from INSEAD. François is also a board member of both the UK Travel Retail Forum and the European Travel Retail Confederation (ETRC).